Investing in real estate can be exciting and profitable, as long as you understand what are you doing. But how can you deal with real estate investing as a beginner? We've prepared a full guide - the best ways to invest in real estate, the benefits you can get and essential keys to success in the real estate market. Here is what’s appealing about real estate investing: you can do it with minimal or no formal training at all. You don’t have to have an advanced real estate degree to begin your career. You don’t need to finish some special seminars and workshops or attend conferences to get into it. In fact, you can find a lot of helpful resources online. Decide what type of investment strategy you want to follow. Would you want to go traditional or would you want to go with the Airbnb craze? Determine the amount of money and time you are willing to spend on your preferred investment strategy and rental strategy. Create a working budget. For fund investors, it’s normally at around $1,000-$5,000 but for a direct real estate investor, it’s a minimum of $50,000. Choose the investment strategy that fits your schedule and financial resources. REIT investing requires less time and money compared to direct real estate investing. Set aside funds for other investment-related expenses because they are unavoidable. Although there are plenty of ways to make money in real estate, rental properties qualify as the best example of ‘real estate investing’. Wholesaling properties and flipping houses can give you a lot of income but they demand too much, they’re almost like a regular job. Rental properties can keep you earning for years, while wholesale and flipping stop giving you income once you’ve sold the property. Keep reading for more detailed descriptions and links to more information. The basic concept of rental property investment is that it provides you an income through monthly cash flow and the eventual value appreciation. Cash flow refers to the money you make from rent after deducting all the related expenses. The expenses are usually taxes, insurance, maintenance fees, allowances for vacancies, HOA dues, and mortgage payments. If you are able to acquire a rental property below its market value, that is a huge advantage in real estate. They say that in a case like this, you’ve already made money when you bought it. You can also look for properties that need work or those are poorly managed. You buy and improve them and you can make more money. Also, you should not really count on appreciation as a source of income but it is a nice bonus if market values go up significantly. The downside about rentals is that the market is very selective – it is not always a good fit for every area. Generally, the more expensive the area, the harder it is to find good rentals. What are the different types of real estate property can you invest in? If you go to its most basic concept, flipping houses are really simple because it takes just three major activities. You buy a house, fix it up and sell it with enough margin to give you a profit. The question, however, is in the execution where things get a bit arduous. For one, there are many expenses to consider: financing costs, carrying costs (utilities, insurance, taxes, HOA dues), acquisition costs and of course, selling costs. Many new investors wrongly provide funds for the repairs but that is only part of the total cost of flipping a house. The mere act of finding a cheap enough house to buy for flipping is hard enough. You also have a lot of competition for flips but you can search for deals through MLS, auctions, wholesalers, houses for sale by owners, and through direct marketing. Wholesaling is also pretty simple conceptually. You get a house either through direct purchase or under contract, but instead of keeping it or fixing it up, you sell it to another investor. One unique feature here is that it is entirely possible to wholesale properties without using your own money to buy it. One way is to get the house under contract and subsequently assign that contract to another investor who will be the one to buy the house. Another way of wholesaling a house is by using a double close. You buy the house on the same day that you sell it to another investor. Some title companies will even let you use the money they paid to purchase the property to pay the original seller when you buy the same property. Many people have the common perception that wholesaling is an easy way to make money in real estate without using your own money. However, it is easier said than done because convincing buyers is difficult and often, you will need some money up front. As you begin your career in real estate investing, we strongly suggest that you don’t take on high risk. If you are allergic to business risk, consider investing instead in real estate investment trusts or REITs. Simply described, REITs will allow anyone to invest in large real estate investment portfolios by purchasing stocks. In turn, shareholders get a share of the profits that the real estate investments generate without actually having to buy an investment property. So far, we’ve discussed all real estate investing by individuals but in reality, real estate investment companies actually own and control a huge chunk of all real estate. These are companies whose origins are traditional businesses – corporations, LLCs, LLPs, etc. Let me explain how real estate investment companies work. It starts with a group of investors who raise capital by pooling their money and then use the capital to buy real estate. They hold the properties either for their long-term cash flow and value appreciation or for short-term turnaround and quick profit. These companies invest in real estate basically the same way as individual investors do. However, the bigger and more advanced companies normally set their sights on larger and more complex deals. Individual investors wouldn’t normally have the capacity nor capability to manage these investments or deals. Many larger real estate investment companies even purchase land and develop it themselves by building apartment buildings, condominiums, shopping centers, etc. 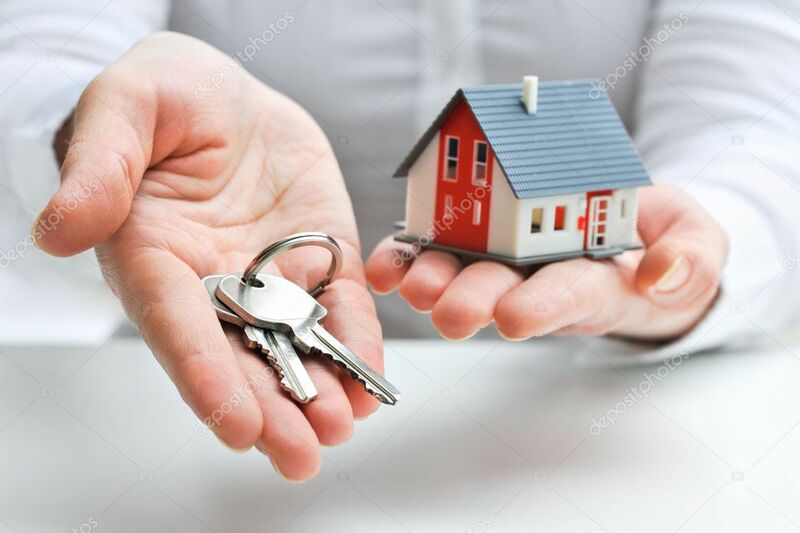 However, putting up a real estate investment company (for legal and taxation consideration), finding capital and then finding the right real estate deals are quite elaborate activities. The company, with its network of employees and agents, can do a better job at this. An individual investor wouldn’t be as effective by himself. 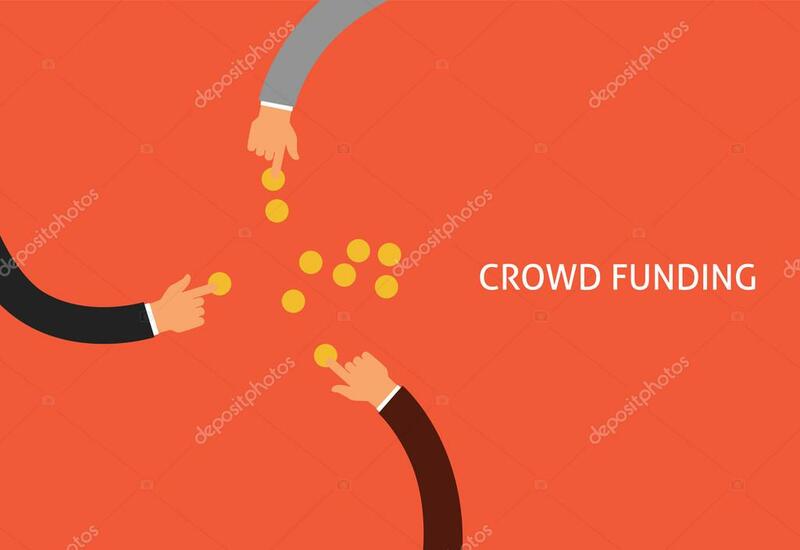 Crowdfunding (also known as peer-to-peer lending service), as a platform, has become popular on many fronts including in the real estate industry. It’s a service that connects individuals who want to invest in real estate with real estate businesses and property owners who need to raise capital for their ventures. Normally, these real estate businesses that are in need of capital can present their investment opportunities as either debt or equity financing. So, if you are an investor checking out real estate crowdfunding opportunities, you can find different offers. It could be a debt-based investment where you can get repayment with interest in fixed installments or at the end of a predetermined time. It could also be an equity investment where you can participate in the profit on the real estate deal. If you already have your own property, you can already make money off it without selling it. You can use your own home and become a landlord. Short term rental websites like Airbnb give you the opportunity to earn by renting out your home anytime you want. You can earn extra cash and you get to meet people from all walks of life and you might have visitors from other countries as well. If you are not yet ready to dive into the traditional real estate businesses, consider Airbnb to learn about the business. Who knows, you might be launching a stellar real estate career right from your own home? It is true that no type of investment can offer a guarantee of a profit or even retention of the capital. Historically, however, real estate has proven to be one of the safest asset classes for investors while averaging consistent gains over the years. Real estate investing is unique in the sense that it offers other benefits that you may not find in other types of investments. One of the most distinctive features of real estate investing is its ability to allow investors to leverage their capital many times over. Real estate investors will have the power to use borrowed funds to invest in a parcel of real estate they are not in a position to purchase outright. But even so, they still can realize all of the potential profit from the property inherent to its owner. A word of caution to investors: with increased leverage comes additional risks too, so be prudent. Remarkably, an investment in real estate opens several types of tax benefits to the investor. For one, the IRS treats real estate profits as capital gains which carry a lower tax percentage than employment income. Accordingly, as years pass, the tax basis of your investment properties can go down due to depreciation. The tax code allows investors to claim for an annual depreciation expense as a reduction in income. And, if you are generating cash flow from a rental property, you can potentially claim the profits without paying self-employment taxes. Another valuable aspect of real estate investing that appeals to many is that they enjoy increased control over their investments. In stocks or mutual funds investing, you purchase and then you wait passively for the assets to (hopefully) increase in value. If you are just one of the minor shareholders of the company, you will not have much say in the business operations. From the point of view of an investor, there is nothing you can do to increase the value of the stocks or shares that you have. Aside from these things that we mentioned, there are still a lot of possible benefits of real estate investing. We have not discussed protecting your capital against inflation, tax write-offs against your other income, etc. If you want more information on this, visit our Resource Center. Real estate has great potential for an investor – it can be your passport to enormous wealth, early but comfortable retirement or financial independence for the rest of your life. New investors are usually fearful and very careful but you can also be confident and decisive. At the end of the day, none of that matters. It will still boil down to goals, abilities, and resources of each individual investor. These three major aspects can complete what’s missing, even up the shortcomings and further enhance the strengths of any real estate transaction. There are many important tips we’ve already published – let’s focus on the most important ones. Don’t even begin to look at properties without setting specific goals for yourself as an investor. Forget about being an expert in the terminologies, practices, computations, analysis, negotiation or any other specifics at this point. Simply resolve what you really want to accomplish. Ask yourself what you want to see happening as a result of your investment. It’s not just about making some or a lot of money because that is obvious. What we mean is: do you want to be an active, hands-on investor who is very much involved in the daily operations? Or would you rather have a real estate investing on the side while you continue on with another career that’s closer to your heart? Blindly jumping in without really knowing why has brought many investors to disaster. Some eager beavers put too much on their plates all at once and end up having to hire out other people to manage, make repairs and maintain the property. As a result, his cash flow goes to pay for these people and pretty soon, he’s forced to sell out his property to get himself out of the messy situation. Here’s a nugget of truth: income-producing properties provide long-term wealth. Knowing that it is therefore practical to purchase only properties that you deem will appreciate in value. The next step would be to hire a property management company. Just keep the property and check its value every year. It will just be a matter of time before the increase in the property value will give you immense returns. Don’t hold your punches on a good deal: when you chance upon an opportunity, grab it by the collar! Once you have secured the contract, there are many ways to terminate the agreement (if you need to) and get your earnest money back. This period will give you extra time to size up the property. Missing out on a good property because you waited too long could be a huge opportunity lost because another investor may come and take it. Management of the property including maintenance, rent collection, eviction, etc. An honest-to-goodness personal assessment is integral to success. Don’t overrate yourself but don’t put yourself down either. It is better to err on the side of conservatism when it comes to evaluating your abilities. You can always hire or partner with other people to handle anything you can’t (or don’t want to) take care of. You now have a clear goal and a realistic assessment of your abilities. You are definite about what you want to accomplish. Also, you know what you can and cannot do on your own. The next step is to make provisions on how to fill in the gaps. This is basically a question of resources – what you need, where to find them and how to use them. Veteran real estate investors know that for things like market knowledge, area demographics, and local and national market trends, it meant a trip to the library. Nowadays, whenever the word ‘research’ surfaces, the Internet usually comes to mind. Sure, you can still go to the library and hit the books but the latest and freshest information will still be on the Worldwide Web. Learn how search engines can make the work easier for you, bookmark useful sites and build your own database of information. ← Whole Vs. Universal Life Insurance – Which One Is Better For You?